Published on Thursday, September 21, 2017. This article appears in the August/September 2017 issue of American Craft Magazine. Take a stroll through the labyrinthine warrens of hanlar – workshops stacked above the hushed courtyards and ground-floor shops of Istanbul – to witness the sights and sounds of craft traditions reaching back to the Ottoman Empire. The floors of lathing shops are feathered with wood shavings, the tiny rooms of an Armenian metal-plater are pungent with tubs of chemicals, and a portrait of Atatürk, father of the Turkish Republic, hangs crookedly on a wall above a cutting table at a tailor’s shop. Men do a brisk trade in precious metals sold by the gram, while in a nearby smelting shop, where every surface appears singed, a man stoops to form rods and wires by hand-cranking molten metal through a timeworn apparatus. Straddling Asia and Europe, Istanbul is a trade center that has influenced global art and design for centuries. Its most famous commerce hub may be the Grand Bazaar, one of the oldest covered markets in the world, whose 4,000 shops are arranged along narrow, clamorous streets. Located south of the fragrant Spice Bazaar in the Old City, the 15th-century market’s vaulted tiled ceilings shelter guild-like sections where shoppers come to haggle over everything from gold jewelry to antique gramophones to Ottoman textiles and kilim carpets. 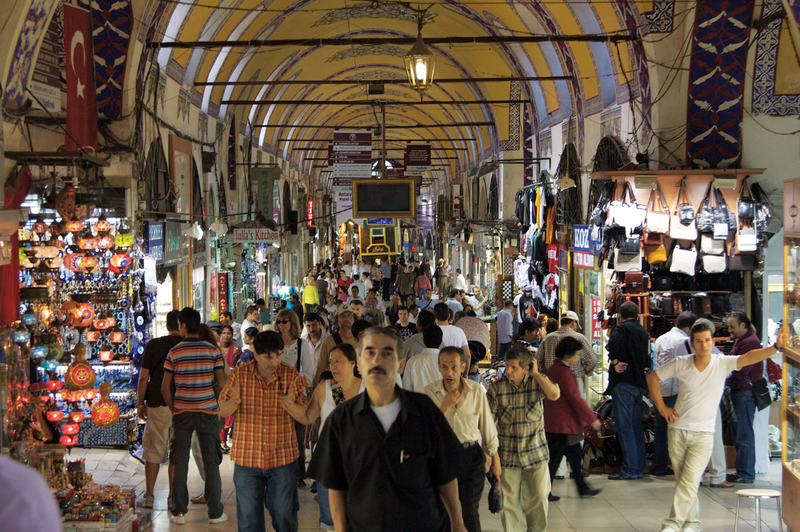 But while the colorful shops of the Grand Bazaar may be the heart of Istanbul’s craft history, they are not its soul. That lies in the cluttered workshops of skilled craftsmen, who have scattered to industrial zones or dispersed across the Golden Horn, a long finger of water dividing the city. The people who run these workshops have inherited generations-old knowledge and skill. In many ways, they are what makes Istanbul, Istanbul. But cultural, political, and economic factors, including the plunge of the Turkish lira, spiking real estate prices, and an abundance of inexpensive mass-produced goods, have begun to erode these venerable craft traditions. They’re not being preserved through arts education, either, says jeweler Arman Suciyan. “Centuries of techniques and know-how have not been integrated into an effective academic curriculum that could supply the trade and the craft with much-needed creatives to push them into the future,” he says. The result? Emerging makers and designers must figure out how to blend the old with the new. Suciyan, 45, began his career in the Grand Bazaar, where he apprenticed under a goldsmith usta (“master”). From age 15 to 19, he worked 10-hour days, six days a week in an Ottoman-era building. After a second apprenticeship with a fourth-generation usta, Suciyan went on to study at the University for the Creative Arts in England before working for British jeweler Stephen Webster. 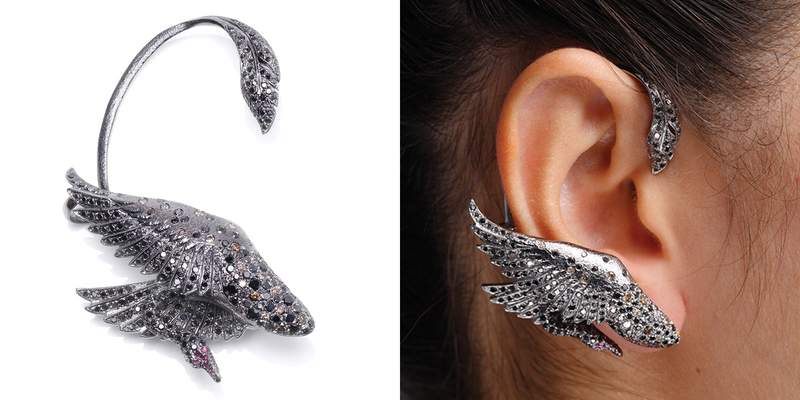 Now, Suciyan has his own studio near the Bazaar where he sculpts finely detailed modern pieces, such as swans that nest around the entire ear and gem-encrusted wings that unfurl across two fingers. The work blends the traditional techniques he learned in his rigorous apprenticeships with a cutting-edge style that appeals to contemporary buyers. 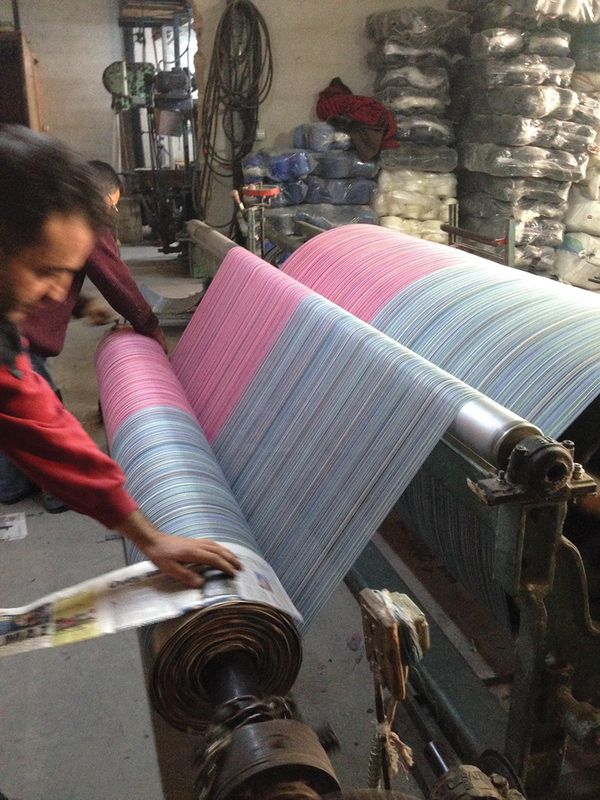 Increasingly, Turkish retailers are also reviving craft traditions with a modern twist. Since 2010, the luxury department store Armaggan has been commissioning a spectrum of “neo-Ottoman” Turkish craft that marries old techniques and materials with sleek fashion, housewares, and jewelry design. Wares include handbeaded oyas (traditional ornaments hemming scarves) made into necklaces, and minimalist geometric wooden trays inlaid with mother-of-pearl. Armaggan’s artisans use time-honored Turkish materials and authentic tools (a jacquard hand-loom dating to 1804, for example) but also benefit from the company’s resources, such as laboratories where historical pigments are reproduced. Younger generations of designers have become champions of traditional craft, too. 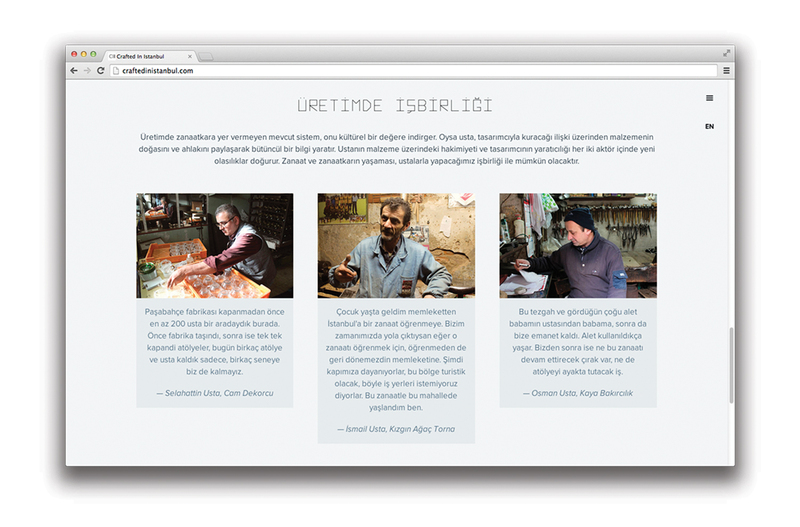 Crafted in Istanbul, a digital directory of nearly 100 specialized artisans, was started as a school project by Baris Gumustas, Bilal Yılmaz, and Seda Erdural, master’s students at Istanbul Technical University’s Department of Industrial Product Design. Now the trio continues the project as a labor of love. Their goal is to encourage collaboration between craft artists and designers, the benefits of which are mutual and manifold: Designers can produce in limited numbers at reasonable prices and revise as they go, while craftspeople learn how to stay relevant in a rapidly shifting market. One textile designer already collaborating with local craftsmen is Jennifer Gaudet. In 2009, she opened Jennifer’s Hamam, a linens line with two storefronts near the Blue Mosque and a showroom not far away. The expat Canadian outsources her popular textile designs to traditional artisans. 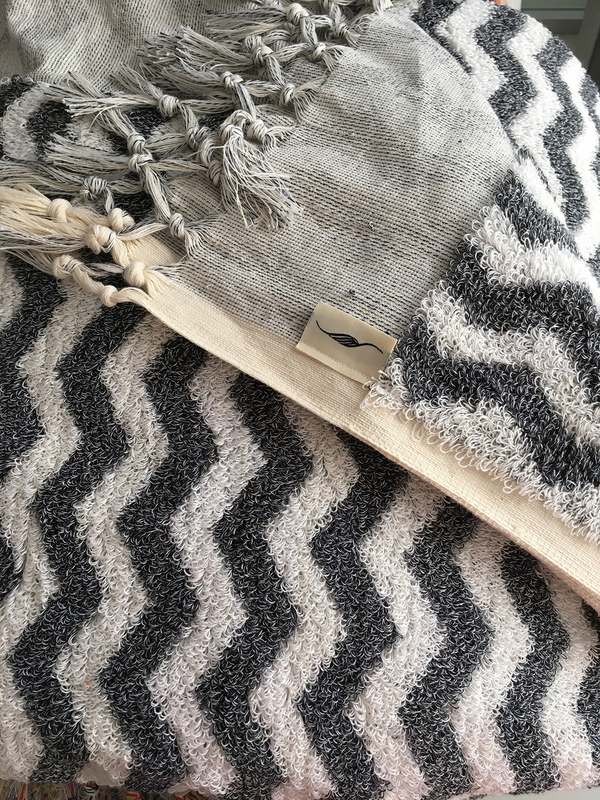 To produce her collaborative line, Gaudet works with up to 700 Turkish weavers, who are reviving the craft of hand-looped towels using 17th-century Ottoman techniques. When she began to look for materials and weavers to produce her designs, she was surprised to find traditional weaving almost extinct, thanks to shifting cultural values and a growing preference for mass-produced goods. Gaudet started searching for traditional weavers and, with their help, tracking down looms they could work on. One of the families that makes her flat-woven pieces comes from a long line of celebrated weavers. They resurrected four looms from 30 years of storage and revived a technique for weaving each layer of a two-layered fabric at once, using seven colors in the weft and two in the warp. Gaudet is documenting these techniques; she’s shot video of her silk-maker, who can tell when he’s holding 50 gossamer strands of silk by touch, as he boils cocoons and reels the silk. Gaudet is also looking to open a school to teach traditional weaving, with hopes of expanding into other processes, techniques, and materials. Istanbul’s mazelike Grand Bazaar houses 4,000 shops selling everything from jewelry and textiles to antiques and ceramics. As such, it remains the city’s best-known center for craft. 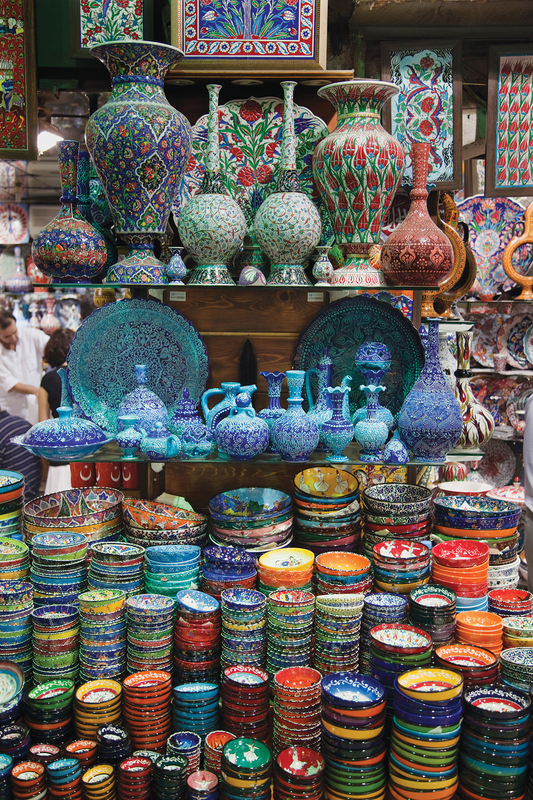 Ceramic pieces at the Grand Bazaar in Istanbul. 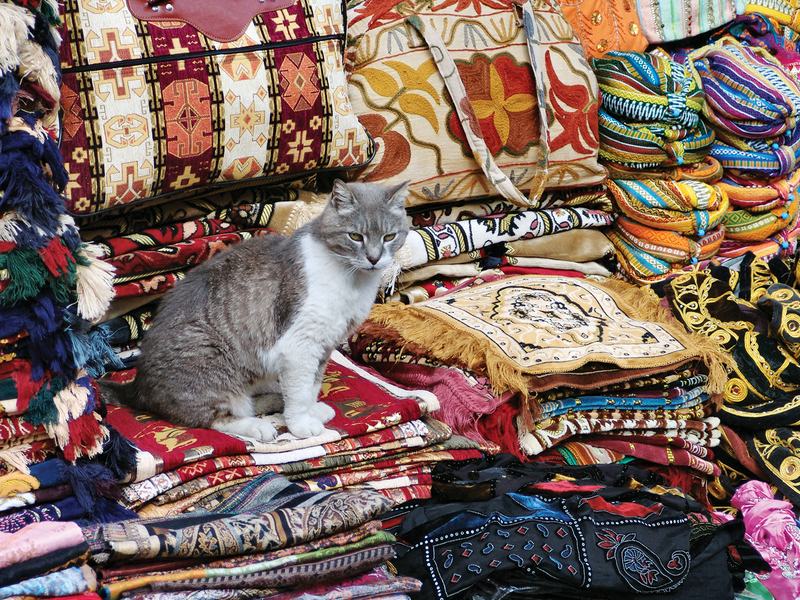 A vibrantly patterned stack of rugs provides a comfortable perch for this city cat. As a bridge between East and West, Istanbul has been a trade center for centuries. In 2014, three grad students launched Crafted in Istanbul, a website to link modern-day designers with traditional artisans. 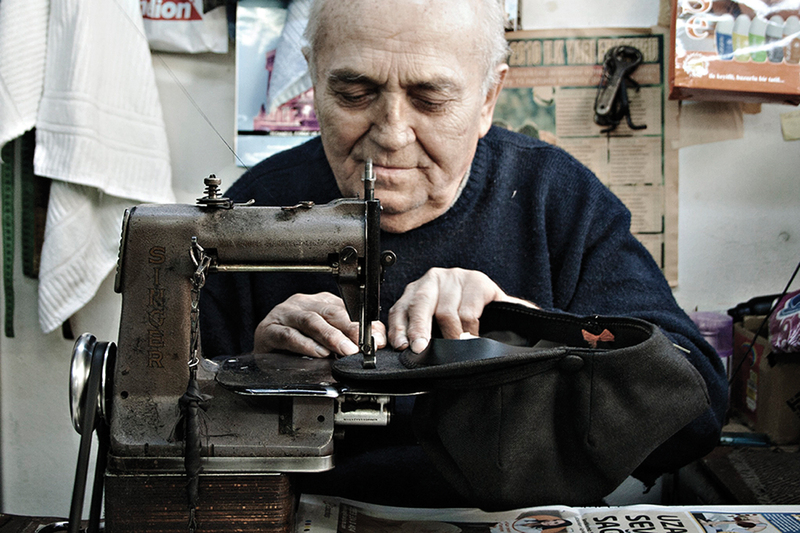 A traditional artisan sewing in Istanbul. Designer Jennifer Gaudet, a Canadian expat, hires Turkish weavers to produce flat-woven linen towels that last 20 years, thanks to a technique developed in the late 17th-century. Arman Suciyan studied with master goldsmiths in Istanbul and England. He now makes lavish jewelry from his studio near the Grand Bazaar.